Robert Bashara, the man convicted of plotting to kill a handyman accused of murdering Bashara's wife, has been transferred to a different prison. Bashara has been moved to the Oaks Correctional Facility in Manistee, said Russ Marlan, a spokesman for the Michigan Department of Corrections. He had been at the reception center in Jackson, where male offenders typically are sent to start their sentence, Marlan said. Last month, Bashara was ordered to serve six to 20 years in prison for solicitation of murder after pleading guilty to charges he attempted to hire a hit man to kill handyman Joseph Gentz in jail. Gentz has claimed Bashara offered him money and a car to kill Jane Bashara, a Grosse Pointe Park marketing executive found strangled in January 2012. Her husband admitted he tried to hire a Detroit furniture store owner over the summer to have Gentz killed in the William Dickerson Detention Facility. Bashara tearfully apologized during the sentencing in December. "What I did is inexcusable. I have no one to blame but myself," Bashara told Wayne County Circuit Judge Bruce U. Morrow. "What I did was a crime and something I will regret for the rest of my life." The earliest release date is Feb. 24, 2019, according to the MDOC website. The latest is Feb. 24, 2032. Gentz pleaded guilty last month to second-degree murder charges in Jane Bashara's death. Wayne County Circuit Judge Vonda R. Evans told Gentz he will face 17 to 28 years in prison under the plea agreement. Gentz is scheduled to be sentenced Jan. 29. Click on the picture above to see it in it's FULL size. It is one of metro Detroit’s most bizarre murder investigations. The murder of Grosse Pointe Park mother Jane Bashara last January put the spotlight on her husband, his secret life and his handyman. Investigators have not stopped working the case. The Defenders have learned that charges may be brought against Bob in connection with his wife’s death. "We have spent the last year grieving as privately as possible, and we appreciate the respect that has been shown to us. We miss Jane. We look forward to a satisfactory conclusion to the investigation into her murder." The postponement of the Joe Gentz sentencing that was scheduled for this Tuesday could mean that a Bob Bashara arrest could be imminent, according to a law professor. Richard Krisciunas of University of Detroit Mercy Law School said that if Wayne County prosecutor Kym Worthy plans to charge Bashara in his wife’s murder, she will do it and have Gentz testify prior to his sentencing. Gentz’s sentencing for second-degree murder in Jane Bashara’s death a year ago was pushed back last week to March 1 by Judge Vonda Evans of Wayne County Circuit Court in Detroit. Gentz’s attorney, Susan Reed, said Friday she did not request the delay. Gentz was charged with first-degree murder and conspiracy but pleaded guilty to the lesser charge in December and agreed to testify against Bashara in exchange for dismissal of the higher charges and a 17-28 year sentence. Gentz by law must be sentenced within one year. 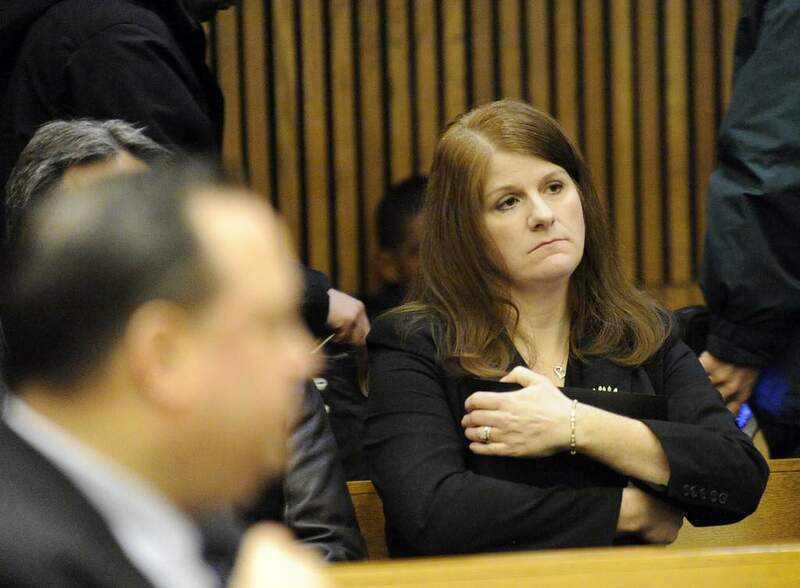 But the lead assistant prosecutor in the case, Lisa Lindsey, likely wants Gentz to testify against Bashara at a preliminary examination or trial before he is sentenced because once Gentz is sentenced, prosecutors lose much of the legal potency to force him to the witness stand, Krisciunas said. “Once you sentence him, the court (judge) loses jurisdiction, and he’s in the hands of the Michigan Department of Corrections,” he said. If Gentz later refuses to testify at a trial or he is otherwise unavailable, prosecutors could have his preliminary examination testimony recited into the record at trial to build the case against Bashara, Krisciunas said. However, Gentz’s sentencing may get delayed again if prosecutors want Gentz to testify at a trial, and/or if Bashara waives his right to a preliminary exam, he said. The preliminary exam testimony, if it strongly implicates Bashara, also can be used as leverage for a potential plea in the case. Prosecutors may be receptive to Bashara pleading guilty to second-degree murder with a relatively long sentence — 25 years — to avoid a trial, Krisciunas said. Bashara is already serving 6-1/2 to 20 years after pleading guilty to trying to hire a hit man to kill Gentz housed in a Wayne County Jail facility. Lindsey and assistant Wayne County prosecutor Robert Moran may have concerns about Gentz, who has been described as a slow learner, testifying since he may have provided police with multiple accounts of what occurred, and Bashara’s defense attorney Mark Kriger would test him in cross-examination, he said. Investigators are trying to corroborate Gentz’s testimony with evidence, including video, witness statements and phone records, among others, he said. Gentz, 49, formerly of Macomb County, said he strangled Jane Bashara, 56, at her Grosse Pointe Park home on the promise of payment and under a threat by Bob Bashara. Her body was found in her SUV parked in an east-side Detroit alley. Bob Bashara, 55, was called a person of interest but never charged. Krisciunas said attorneys and the judge also have to consider their schedules in orchestrating the two cases’ timing. (Gentz) will be sentenced March 1 at 9 a.m.
GROSSE POINTE WOODS — Dozens of friends, relatives and fellow parishioners at St. Michael’s Episcopal Church paid tribute to slain Grosse Pointe Park mother and marketing executive Jane Bashara on the one-year anniversary of her murder during a prayer vigil Jan. 24 at the church. The solemn service, which lasted about 30 minutes, was led by the Rev. Marianna Gronek. Family members used the Paschal candle, which Gronek said “symbolizes Jesus’ power to overcome … our sorrow and our loss,” to light seven smaller candles, which were placed in a row in front of the Paschal candle. Through prayers, hymns and readings, participants acknowledged Jane Bashara’s life and mourned her loss. She was said to have been an active volunteer with the church. “Keep Jane ever present in our hearts, and may we honor her memory, embracing each new day with courage and faith,” Gronek prayed. Born June 22, 1955, in Mount Clemens, Jane Bashara, 56, was a senior marketing manager for Detroit-based KEMA Services. She had a master’s degree in business administration from the University of Detroit Mercy and a bachelor of business administration degree from Central Michigan University. Well-known and well-regarded for her service to the community — especially through the Grosse Pointe South High School Mothers’ Club, of which she was a past president — she was survived by her two young-adult children, Robert Bashara Jr. and Jessica Bashara, as well as her husband of 26 years, Robert Bashara, her parents, John and Lorraine Engelbrecht, and her siblings, Janet Gottsleben, Julie Rowe and John Engelbrecht. Jane Bashara’s body was found inside her Mercedes SUV, in an alley on Detroit’s east side, on the morning of Jan. 25, just hours after her husband reported her missing to police. Although, as of press time, he had not been charged in connection with her murder and has maintained his innocence in the case, Robert Bashara was labeled a “person of interest” by Grosse Pointe Park Public Safety early in the investigation, and has thus far been the only person to whom law enforcement have given this designation. At press time, a sentencing exam for Joseph Gentz, 49 — the Grosse Pointe Park handyman who said he killed Jane Bashara at the behest of her husband — was rescheduled from Jan. 29 to March 1 in front of 3rd Circuit Court Judge Vonda Evans. A spokesperson for the Wayne County Prosecutor’s Office said Evans told prosecutors and defense attorneys about the adjournment Jan. 23. Gentz, who pleaded guilty Dec. 17 to a reduced charge of second-degree murder in exchange for agreeing to testify truthfully in future court proceedings, is expected to spend the next 17-28 years in a Michigan prison for his involvement in the homicide. Meanwhile, Robert Bashara, 55 — who pleaded guilty to solicitation of murder Oct. 11 in front of 3rd Circuit Court Judge Bruce U. Morrow — was slated to spend the next six to 20 years behind bars for trying to have Gentz murdered in jail. At press time, Bashara was incarcerated at the Oaks Correctional Facility in Manistee, according to the Michigan Department of Corrections website. As a level IV security facility, it is the second-highest security level facility in the state; a level V facility is a maximum-security prison. You can reach C & G Staff Writer K. Michelle Moran at [You must be registered and logged in to see this link.] or at (586)498-1047. Wow, it's already been one year, doesn't seem like it. I sure hope there is justice for Jane. The man who confessed to police he killed a Grosse Pointe Park mother will learn his sentence next week. Joe Gentz pleaded guilty to second-degree murder for the killing of Jane Bashara. His sentencing was supposed to be at the end of January, but has now been scheduled for Feb. 19 at 9 .m. He could be sentenced to life in prison. The sentencing of Joe Gentz has been moved up to Tuesday after it had been pushed back to March 1, according to Wayne County Prosecutor Kym Worthy. Gentz, 49, formerly of Macomb County, in December pleaded guilty to second degree murder in Wayne County Circuit Court in Detroit for the January 2012 strangulation of Jane Bashara, 56, in her Grosse Pointe garage. Gentz pleaded and agreed to testify truthfully in the case against Bob Bashara, 55, who was named a person of interest in his wife Jane’s death, in exchange for a prison term between 17 and 28 years and dismissal of a conspiracy charge. Bob Bashara admitted he tried to hire someone to kill Gentz last June while Gentz was housed in a county jail in Hamatramck. Bashara pleaded to solicitation of murder and was sentenced in December to 80 months to 20 years in prison. Legal experts and Bashara’s former defense attorney has said they expect Bashara to be charged for his wife’s murder. Jane Bashara’s body was found Jan. 25, 2012, in her SUV parked in an east-side Detroit alley. Gentz, Bashara’s former handyman, told police he was paid and threatened by Bashara to kill Jane Bashara. Gentz was previously scheduled to be sentenced late last month but that was pushed back to March 1. He will be sentenced by Judge Vonda Evans. DETROIT — Joseph Gentz, the 49-year-old handyman who claims he was hired by Bob Bashara to kill his boss's wife, is expected to be sentenced next week. The sentencing has been rescheduled from March 1 and is not set for 9 a.m. Feb. 19 before Circuit Judge Vonda Evans. Prosecutors are recommending Gentz spend between 17 and 28 years in prison for the strangling of 56-year-old Grosse Pointe Park marketing executive Jane Bashara, a Bay City native whose body police found in the backseat of her Mercedes SUV parked in a Detroit alleyway on Jan. 25, 2012. The sentencing for the man who admitted to strangling Jane Bashara to death has been re-scheduled for a second time -- this time moving the sentencing up to Feb. 19 from a March date. Wayne Circuit Court Judge Vonda Evans changed the sentencing hearing for Joe Gentz from early March to Feb. 19, according to the Wayne County Prosecutor's Office. Gentz, who pled guilty to second degree murder in the January 2012 strangulation death of Jane E. Bashara, will be sentenced at 9 a.m. Feb. 19. He was originally scheduled to go before Evans Jan. 29 then that was rescheduled to March 1. Wayne County Prosecutor's spokeswoman Maria Miller noted the change in the sentencing date in an email case update Thursday morning. Gentz remains in custody. He was arrested in the death of Jane Bashara in March. He has consistently told investigators he killed Bashara at the behest of her husband, Bob Bashara, who offered cash to Gentz for the job. Bob Bashara has not been charged in Jane Bashara's death but is serving a prison sentence related to hiring a hitman to kill Gentz after Gentz was arrested. He was named as a "person of interest" in Jane Bashara's death early in the investigation. The Basharas were well known in the community and involved in a variety of activities. Jane Bashara's unexpected death was shocking to residents in the Pointes and it drew national media attention for several months following the discovery of her body in Detroit. Tuesday’s scheduled sentencing of Joe Gentz in Jane Bashara’s murder has heightened the mystery over if and when her husband will be charged in her death. Gentz, 49, formerly of Macomb County, was set to be sentenced March 1, but the date was moved up last week to Tuesday in Wayne County Circuit Court in Detroit. Gentz is expected to be sentenced by Judge Vonda Evans to 17 to 28 years in prison after pleading guilty to second degree murder for Jane Bashara’s strangulation nearly 13 months ago in her Grosse Pointe Park garage, according to a plea bargain. Gentz in the deal will gain a dismissal of the first-degree murder and conspiracy charges, and agreed to testify truthfully in any proceeding regarding the case. Bashara, 55, was named as a person of interest as it was revealed he was having an affair and Gentz reportedly told police he killed her at Bashara’s behest. Bashara’s former attorney said multiple times he expected his client to be charged. But Gentz’s sentencing prior to an arrest raises questions of whether Gentz will testify against Bashara. Richard Krisciunas of University of Detroit Mercy Law School previously said Wayne County Prosecutor Kym Worthy could arrest and try Bashara before Gentz’s sentencing, since by law Gentz can be sentenced up for up to one year from his December plea. That would force Gentz to comply with the deal because he could refuse after the sentencing. Maria Miller, spokeswoman for Worthy, said Evans moved the date. Gentz’s defense attorney, Susan Reed, said the move has no effect on the outcome. “It’s all set,” she said of the plea deal. Anthony Dillof, a criminal law professor at University of Detroit Mercy Law School, suggested the prosecution will seek an adjournment, which Reed would likely fight, arguing that her client is ready to make good on his part of the pact. Prosecutors may argue that they need more time, “and it’s not their fault” for the delays, he said. “It would be up to the judge,” Dillof said. Bob Bashara is serving a prison term of 80 months to 20 years after admitting in December he tried to hire someone in June to kill Gentz in a county jail following his arrest in the murder. Jane Bashara’s body was found Jan. 25, 2012, in her SUV parked in an east-side Detroit alley. Gentz, Bashara’s former handyman, said in court at his plea that Bashara promised to pay and threatened him to kill his wife. Dillof said that statement could not be used in a trial because the defendant has the Constitutional right to cross-examine him. Joe Gentz's mother is sending an emotional message to Jane Bashara's mother Lorraine. Though they have never met, the mothers are connected by tragedy. On Tuesday, Joe Gentz will be sentenced for his role in Jane Bashara's murder. "You would never think something like that could happen to your family. And that's what Jane's mother is going through, her daughter was taken away through a horrible, horrible incident," said Gentz's mother. "Our prayers are with them, and I have been praying for her and her family." Gentz's mother is convinced her son was forced to kill Jane and that Jane's husband, Bob Bashara, orchestrated everything. "Joe would have never just ... why would he want to? He wouldn't have been able to do that," she said. "He had told his brother that he had quit his job and that he was moving to Grosse Pointe and he was going to make a lot of money. This is what (Bob) Bashara told him." Joe Gentz eventually went to police and told investigators he did kill Jane, but that Bob Bashara made him do it. "I have to give him a lot of credit for doing that, that he knew he did wrong and that he wanted everyone to know that he was forced into doing this," Gentz's mother said. Later, Bob Bashara himself was charged with hiring a hit-man to kill Joe Gentz in jail. Now, as Joe Gentz waits to learn his fate, his family is beginning to deal with a loss of their own, knowing the Joe they once knew is likely gone forever. "I'll probably never see him again unless I go to prison. He's going to be in the pictures of all your kids at Christmas time and stuff, he's not going to be there," his mother said. DETROIT - The man who pleaded guilty to killing Grosse Pointe Park mother Jane Bashara has been sentenced to 17- 28 years in prison. Gentz, who was the Bashara family handyman, took a deal and pleaded guilty to second degree murder for his role in Jane Bashara's death. At his sentencing Tuesday, he said he was "very sorry" for what had happened and asked for forgiveness. He maintains that Jane's husband, Bob Bashara, promised to pay him for killing his wife. Wayne County Judge Vonda Evans told Gentz that despite his "limited mental ability," he knew right from wrong and good from bad. "You had the power of life and death," she said. "Did you ever think, 'This is wrong?' Did you ever think to spare her?" Jane Bashara's sister, Julie Rowe, spoke before Gentz's sentencing and said the death had completely "devastated" her family. "Jane was viciously taken from us," Rowe said. "Her children have been robbed." She also said her family doesn't think the case closes with Gentz's prison sentence. "Mr. Gentz had no motive to murder our sister Jane. And we believe his statement that he was coerced into murdering her," Rowe said. DETROIT (WWJ) - Handyman Joseph Gentz has been sentenced to a minimum of 17 years in prison in the murder of Grosse Pointe Park mother and marketing executive Jane Bashara. In a deal with prosecutors, Gentz offered the guilty plea in exchange for his testimony in any upcoming trial related to this case. Gentz was also charged with conspiracy in Jane Bashara’s death, but that charge was dropped as part of the deal. If Gentz had been convicted of first degree murder as charged he would have spent life in prison. He now faces a maximum of 28 years. Bob Bashara continues to deny he played any role in his wife’s death. He’s currently imprisoned. DETROIT (WJBK) - Joe Gentz, the handyman who pleaded guilty to killing a suburban Detroit marketing executive has been sentenced to 17-28 years in prison. Wayne County Judge Vonda Evans handed down the sentence Tuesday morning. "It is on my unfortunate obligation to sentence you to the sentencing agreement that in my eyes does not comport to that damage you've done," said Evans. "Our prayers are with Jane's family and her kids. I just can't imagine," said Gentz's sister Kim Dwojakowski. Gentz told the court: "I am very, very sorry for what happened." Evans, though, indicated she would have liked to sentence Gentz to serve more time in prison, but she followed the sentencing agreement reached between prosecutors and Gentz's attorney, Susan Reed. She said Gentz "knew right from wrong and good from bad." "The request was made and you wanted to obey the request of your master," Evans said. Evans told Gentz he wanted to feel empowered and needed by "a person who used you to achieve his goal: freedom from his marriage." She said Jane Bashara did not serve to die. "As she pleaded and begged and struggled for her life, did you ever think that this was wrong?" Evans said. "As she fought for her life, did you ever think to spare her from death. No." "You knew right from wrong and good from bad," Evans said. The judge called Gentz's involvement cowardly and repeatedly reminded the defendant, who stood in front of her with his head bowed and in a tan suit, that he had ample time to consider "the orders of his master." "After days of consideration, you decided to obey the orders of your master," Evans said. Evans further scolded Gentz for what she called a "senseless crime" and blamed him for allowing himself to be manipulated as an "obedient servant." "I'm very, very sorry for what happened. I'm asking for the family's forgiveness," Gentz told the courtroom ahead of his sentencing. Before Evans made her ruling, Jane Bashara's sister, Julie Engelbrecht Rowe, read from a written statement on the impact her sister's murder had on the family. "My sister Jane was one of the most decent people I have ever known," Rowe said. "At times, it's still unbelievable that she was brutally murdered." Gentz said that he was “very sorry” for his actions. Bashara’s sister, Julie Rowe said that the murder has “devastated” the family. Judge Vonda Evans called the plea deal generous and Gentz’s actions cowardly. "Our family feels very strongly that this is not over with the sentencing of Mr. Gentz," said Jane Bashara's sister Julie Rowe said in an emotional statement during the hearing. "Our healing will begin when the whole truth is known and all who were involved are held responsible." Rowe said her family is still in shock over the slaying. "None of this (sic. us) will live the life we were meant to live because Jane was taken from us." Gentz, his head held down, nearly pressing his chin to his chest, quietly asked the family's forgiveness. "I am very, very sorry for what happened. I ask the family for forgiveness," Gentz said. Detroit — A Wayne County Circuit Court judge called a handyman who has admitted to strangling Jane Bashara an "obedient servant" in the brutal killing of the Grosse Pointe Park marketing executive. On Tuesday, Joseph Gentz, 49, of St. Clair Shores, was sentenced to 17 to 28 years in a state prison by Judge Vonda R. Evans for second-degree murder in Jane Bashara's January 2012 death. Gentz entered a plea deal last year and had said her husband, Robert Bashara, paid him to kill her. "All you wanted to do is feel empowered and needed by a person who used you to achieve his goals: freedom from his marriage," Evans said. Evans said although Gentz's sentencing didn't conform with the crime of second-degree murder, she felt she had no choice but to agree to the prison term as part of the plea agreement. The judge called Gentz's involvement cowardly and repeatedly reminded the defendant dressed in a tan suit, who stood in front of her with his head bowed, that he had ample time to consider "the orders of his master." Evans further scolded Gentz, who has a long history of mental problems, for what she called a "senseless crime" and blamed him for allowing himself to be manipulated. "I'm very, very sorry for what happened. I'm asking for the family's forgiveness," Gentz told the courtroom ahead of his sentencing. Before Evans made her ruling, Jane Bashara's sister, Julie Engelbrecht Rowe, read from a statement on the impact her sister's murder had on the family. 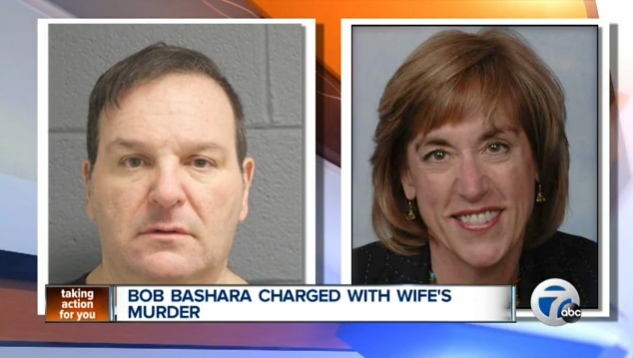 Robert Bashara has never been charged in connection with his wife's death. Instead, he was sentenced to 6 to 20 years in state prison after pleading guilty to charges of attempting to hire a hit man to kill Gentz while in jail. Gentz's attorney, Susan Reed, added Tuesday that her client is "interested in getting the whole truth out." Gentz said he strangled the 56-year-old marketing executive in her Grosse Pointe Park garage the night of Jan. 24. Gentz then loaded her body into her Mercedes SUV and dropped the vehicle off in an alley on Detroit's east side, where it was found the next morning by a tow truck driver. Shortly after the slaying, Gentz walked into the Grosse Pointe Park police station to confess to the murder. Jane Bashara’s sister said at Tuesday’s sentencing of Joseph Gentz that her family cannot begin to heal from her murder until others who were involved are brought to justice. “Our family feels very strongly that this is not over with the sentencing of Mr. Gentz,” Julie Englebrecht Rowe said in a Wayne County Circuit Court courtroom in Detroit. “Mr. Gentz had no motive to murder our sister Jane, and we believe his statement that he was coerced into murdering her. Mr Gentz should be held accountable for his actions, which he knew were wrong. Englebrecht Rowe commented moments before Gentz was sentenced to 17 to 28 years in prison by Judge Vonda Evans for the January 2012 strangling death of 56-year-old Jane Bashara in her Grosse Pointe Park garage. The Mount Clemens native’s body was found Jan. 25, 20-12, in her luxuxy SUV parked in an east-side Detroit alley. Gentz, 49, formerly of St. Clair Shores, was originally charged with first-degree murder and murder conspiracy but pleaded guilty to the lesser charge of second-degree murder in a plea deal with Wayne prosecutors. Jane Bashara’s husband, Bob, was named a person of interest in the case but never charged. Wayne County prosecutors have indicated the investigation is ongoing. Gentz at his plea hearing told Judge Vonda Evans that Bob Bashara promised to pay him and threatened him to kill Jane Bashara, and has agreed to testify in any future court proceeding. Bob Bashara, 55, tried to have Gentz killed in June while Gentz was housed in a jail facility and was sentenced in December to 80 months to 20 years in prison for solicitation of murder. On Tuesday, Gentz apologized and asked for forgiveness in a brief statement. Evans, during a several-minute statement, lectured Gentz and inferred his deal was too lenient, as Gentz kept his head bowed while standing next to his attorney, Susan Reed. “It is my unfortunate obligation to sentence you to the sentencing agreement, that, in my eyes, does not comport to the damage you’ve done,” Evans told Gentz. Gentz worked as a handyman for Bashara, who owned several properties, and has been as a slow learner or mentally disabled. “Your life experiences were only of being controlled and directed,” Evans said to Gentz. “Now your master needed your help. How empowering that must have felt to you. After much persuasion and thought on your behalf you decided to be an obedient servant and carry out the cowardly task of taking the life of a woman who did not deserve to die. Evans also addressed Englebrecht Rowe, who was seated in the gallery, encouraging her to try to focus on the positive and not dwell on the negative. Englebrecht Rowe nodded to Evans. Englebrecht Rowe said she and her family miss Jane Bashara, whom she called a community, church and family leader. “My sister, Jane, was the most decent, honest people I have ever known. She was my mentor, my confidante, my adviser, my best friend. She had a long life ahead of her. She had a lot she wanted and needed to accomplish. “Her senseless murder has left an open wound in our family that will never truly heal. Every holiday, every vacation, every birthday, every family reunion, every change of season, every sunny day, every single day of our lives we will be haunted how Jane was taken from this world. GROSSE POINTE PARK (WXYZ) - Could forensics test results obtained exclusively by 7 Action News link Bob Bashara to his wife’s murder? Ann Chamberlain, a former Michigan State Police forensic scientist, examined the report. She says a blood sample taken from the garage at Jane and Bob’s Grosse Pointe Park home, where it is believed Jane was killed, show both of their DNA. “If the victim is bleeding from this incident and there's a combination of DNA from the victim and Bob that would indicate that had some contact during the period of time when she is bleeding,” said Chamberlain. Chamberlain says it’s also possible the mixed DNA sample is from a previous incident, but that it could show a history of violence depending on the age of the sample. The report, according to Chamberlain, also suggests that Jane’s DNA was found on the bottom of handyman Joe Gentz’s boot. Gentz has previously told others Bob forced him to kill Jane by strangling her, eventually placing his boot on her neck. Action News reached out to Bob Bashara’s attorney, Mark Kriger, but he declined to comment on the results. Joseph Gentz — the former Grosse Pointe Park handyman who told police he murdered Park mother and marketing executive Jane Bashara at her husband’s behest — will spend the next 17-28 years behind bars in a Michigan state prison. Gentz — who agreed to plead guilty to second-degree murder during a special pre-trial hearing Dec. 21 — learned his fate during a sentencing hearing Feb. 19 in front of 3rd Circuit Court Judge Vonda Evans. Gentz will get 333 days credited toward his sentence, because he has been behind bars for nearly the past year. Evans said he has 42 days to appeal her decision. Gentz, appearing in court in a suit and tie with his attorney at his side, again apologized for murdering Jane Bashara. Jane Bashara’s sister, Julie Rowe, shared an emotional impact statement with the court in which she explained how this crime has had a profound impact on her family, leaving her sister’s children without a mother, leaving godchildren, nieces and nephews without a beloved mentor and leaving the Engelbrecht family without its leader. “This has completely devastated our family,” she said. Rowe recalled her sister as a much-loved member of the community and someone who gave so much of herself to others. “My sister Jane was one of the most decent and honest people I’ve ever known,” she said. Acknowledging the family’s grief, Evans urged Jane Bashara’s loved ones to find comfort by carrying on the good work she performed during her brief life. Last January, Gentz went to the Grosse Pointe Park Public Safety Department to tell police that on Jan. 24, 2012, he strangled Jane Bashara, 56, inside her garage. He told police that the murder was ordered by her husband, Robert Bashara, who Gentz has said offered him money and an old car and also threatened Gentz if he didn’t go forward with the murder. Robert Bashara has maintained that he played no part in his wife’s slaying, but he did plead guilty last fall to solicitation of murder for trying to have Gentz killed while he was being held in the William Dickerson facility in Hamtramck. For that crime, Bashara was sentenced Dec. 10 to six to 20 years in a state prison. At press time, Robert Bashara, 55, was incarcerated at the Oaks Correctional Facility in Manistee, according to the Michigan Department of Corrections website. Gentz’s attorney, Susan Reed, said that besides regretting his role in the murder, her client regrets the separation from his young daughter caused by his incarceration. “I believe he will miss her,” Reed said. Despite the plea deal, Reed said she didn’t feel the sentence her client received was “generous at all,” considering that the 49-year-old Gentz will spend at least the next 17 years behind bars, meaning he wouldn’t be out until he is at least in his mid-60s. As to whether Robert Bashara might be facing charges in the near future in connection with his wife’s murder, Reed said she’s not the prosecutor and it’s up to the prosecutors to make that decision. She wouldn’t be surprised by such charges, however. “Obviously, everyone believes that there was someone else involved in this,” Reed said in the hall outside of Evans’ courtroom. When asked if Gentz would testify against Robert Bashara in such a proceeding, Reed said he has to abide by the court agreement for special consideration, which included the possibility of such testimony. “I think he’s willing to do whatever’s necessary to see that everything comes to light. … He wants to see the whole truth come out,” she said. Jane Bashara’s family also believes more charges are needed in the brutal murder. Assuming Gentz won't die in prison, he probably will end up doing minimum term, which is 17 years. It's a story that grabbed the attention of people across the country: the Grosse Pointe Park couple, the mistress and the murder plot. The Local 4 Defenders now reveal a new twist in the Jane Bashara murder investigation. It comes in the form of secret recordings which capture handyman Joe Gentz revealing the alleged sinister plot. Gentz soon will be transferred from a processing center to a state prison where he likely will spend at least 17 years behind bars. Wayne County Prosecutor Kym Worthy told county commissioners Tuesday that budget woes are affecting her office’s ability to handle its growing workload and slowing down high-profile cases like the death of Jane Bashara. “In any other office we would have been done probably already,” Worthy said of the Bashara case, adding that her office has had to pull resources away from the case to handle other matters. Former handyman Joseph Gentz pleaded guilty to second-degree murder for Bashara’s death. Her husband, Bob Bashara, maintains his innocence but was named a person of interest by police and is serving time for trying to hire a hit man to kill Gentz in jail. Worthy told the committee on public safety that her office has already made changes to operate more efficiently, but her general fund budget—$25.6-million this year— doesn’t allow for enough people to get all the work done in a timely way. That budget is down from $31.7 million the previous fiscal year and roughly $8.5 million less than she was promised in a memo of understanding three years ago. County Executive Robert Ficano has said the county lost about $100 million in property tax revenue since 2009 and the budget for the Prosecutor’s Office is a matter of numbers. Joe Gentz has a new home at the Macomb Correctional Facility in New Haven. Gentz, who was the Bashara family handyman, took a deal and pleaded guilty to second degree murder for his role in Jane Bashara's death. He recently was moved to the Level 4 security prison March 28. He is being kept in his own cell for his protection. It's not far from his family and friends who, as of now, are allowed to visit Gentz on specific days. However, that soon could change if the former handyman causes any more issues behind bars. 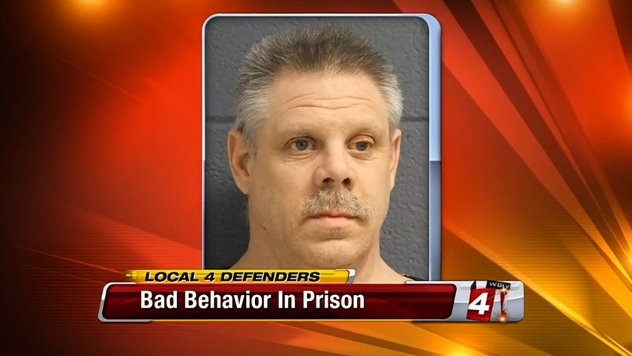 The Local 4 Defenders have learned that on March 12 Gentz, who at that time was being held at the Chippewa Correctional Facility in Michigan's Upper Peninsula, had an altercation with a prison guard. The incident was written up and disciplinary action was taken. It was the first time Gentz has received a behavioral violation while he has been locked up. If he is written up again his security level could change. His opportunity to have visitors could be taken away. This could also call into question his credibility as a potential witness against Bob Bashara, Jane's husband. The Defenders are told from insiders that Gentz is extremely agitated in prison and has been having behavioral issues. They say if this continues Gentz may not be able to further help investigators as they work to tie up the case against Bob Bashara. The Bashara home in Grosse Pointe Park is where investigators believe Jane Bashara was killed. It's where her husband Bob Bashara later confessed his innocence and where he talked with Dateline NBC about his wife's murder. The home now is up for sale. Photos from Realtor.com take you inside the 2,800 square-foot house on Middlesex Road. It features four bedrooms, four baths and an incredibly sad story of a family's tragedy. It's a story that must be revealed to any potential buyers. 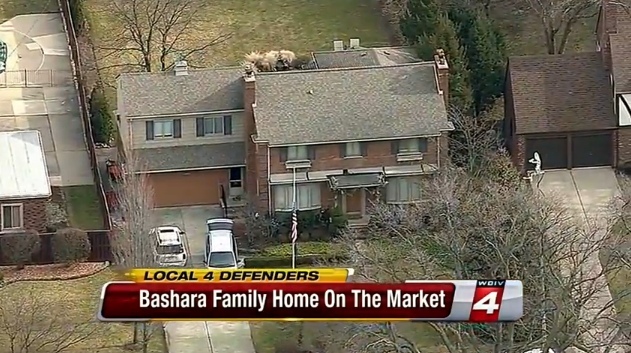 Local 4 is told the home is in a trust and any money from the sale would likely go to the Bashara children. Selling a home that made headlines for a murder mystery is difficult but not impossible. For instance, the Washington Township home where Stephen Grant murdered his wife Tara was sold after he was convicted. A family bought that home well under its asking price. The Bashara home is available for showings but all potential buyers must be screened and prequalified. Are you under the impression that's exactly why Gentz is causing problems? The former Grosse Pointe Park home of Bob and Jane Bashara is up for sale. The 2,800-square-foot house on Middlesex is listed for sale on the website [You must be registered and logged in to see this link.] for $415,000. The site says the house has five bedrooms, three full bathrooms, two half-baths, a remodeled kitchen, a finished basement and a wine cellar. Doesn't look like the kids will get a penny. This house is in foreclosure and being sold by the bank. This property was foreclosed and now the lender is selling it for $415,000. Zillow's Foreclosure Estimate predicts this property will sell for $295,594. They're asking twice whats it's worth? But I could handle a wine cellar! nite. Thanks for the update darkman. (CBS/AP) DETROIT - A Michigan man who admitted to arranging the killing of a handyman charged with his wife's slaying was charged with first-degree murder Wednesday. A handyman, Joseph Gentz, is serving a 17-year prison sentence after admitting he killed Bashara. But he said he acted on the threats and orders of her husband, 55-year-old Robert Bashara. "Bob Bashara offered me money to kill his wife," Gentz told a judge in December 2012 when he pleaded guilty to second-degree murder. "He threatened he would kill me if I didn't kill his wife." Bashara was charged with murder, conspiracy and other charges. He is in prison in northern Michigan, serving a minimum sentence of 6.5 years for trying to have Gentz killed in the county jail last year. Bashara quickly was identified by police as a person of interest, although he repeatedly denied any role in his wife's death. He attended a candlelight vigil in honor of Jane Bashara and told reporters last year that the killing was an "unconceivable tragedy." "I am confident this concludes our investigation," Wayne County Prosecutor Kym Worthy said in announcing the charges. DETROIT (WXYZ) - Former Grosse Pointe businessman and Rotary Club president Bob Bashara is now facing murder charges in the death of his wife Jane. 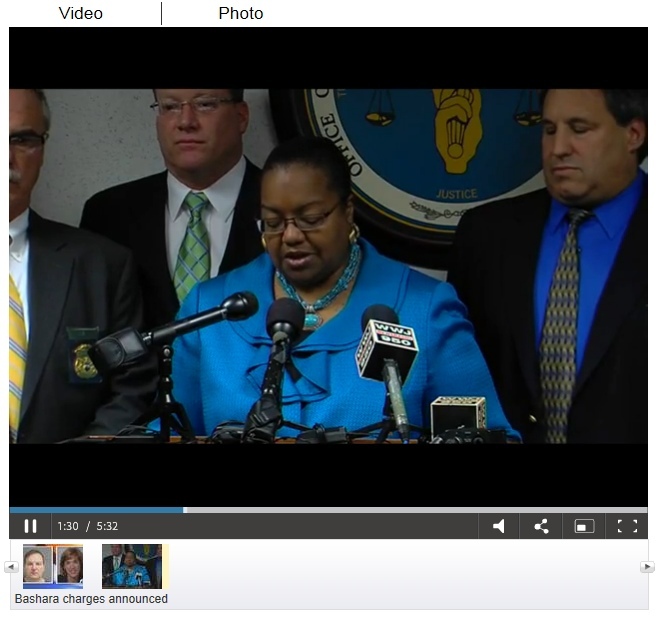 Wayne County Prosecutor Kym Worthy, flanked by other law enforcement officials, made the announcement at a news conference Wednesday. Bashara was charged with first degree murder, conspiracy to commit first degree murder, solicitation to commit murder, suborning of perjury during a capital trial, witness intimidation and Obstruction of justice. It was one year and three months ago that Jane Bashara’s body was found inside her SUV in an alley on Detroit's east side. Worthy says it’s a complicated case that stretched across several states and included three hundred witnesses and five thousand documents. "We are living in a TV kind of era when you thing everything is wrapped up in 44 minutes. And that's just not the way it happens," Worthy said. The prosecutor also revealed that Bashara himself delayed their investigation and that resulted in some of the charges. "We are alleging that he encouraged witnesses to call in false tips. We are alleging that he tried to get a witness or witnesses to leave the state so they could not be talked to. And we are alleging that he was, again, encouraging witnesses to lie to us during the pendency of this investigation," Worthy told reporters. A source close to the case tells the 7 Action News Investigators Bashara's former mistress, Rachael Gillett was the witness he allegedly pressured to move out of state and the witness intimidation charge involves her and handyman Joe Gentz. Gentz admitted to killing Jane Bashara under Bob Bashara’s direction and is serving seventeen to twenty eight years in prison, with an agreement to testify against Bashara. Some legal observers say Gentz credibility will be a problem because he has a low I-Q and gave different accounts of what happened to police. Worthy says she doesn't consider Gentz a star witness. "He's a strong witness for us. He's a credible witness we think for us but certainly all of the witnesses in the case make up the case together," said Worthy. Worthy refuses to talk about any details of their case and the court file has been sealed making it off limits to reporters. Bashara is expected to be brought to Detroit next week for arraignment. Bob Bashara is currently serving a prison sentence for trying to hire a hit man to kill Gentz. Thanks darkman. Are you pleased he was finally charged? About time. Hope he gets LIP w/o POP.